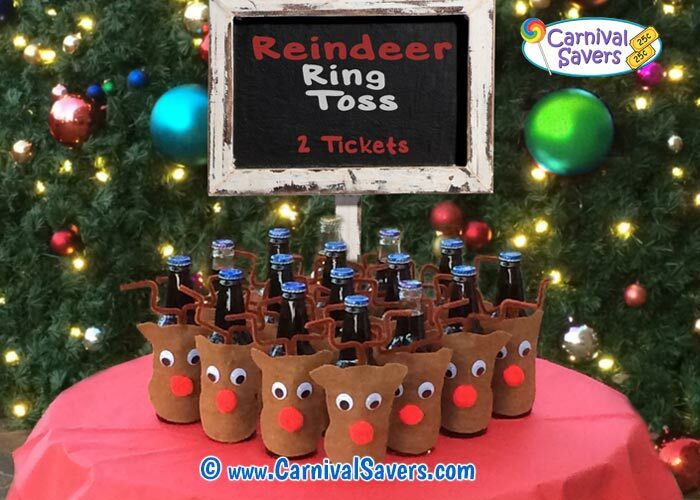 Reindeer Ring Toss Game - Cute and Easy Christmas Carnival Game! 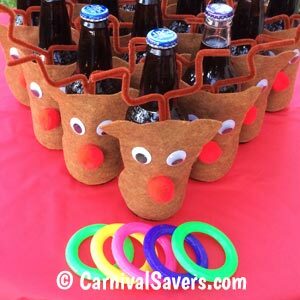 Christmas Party Game Idea - DIY Holiday Reindeer Ring Toss! Place Bottles with an inch between the base. Use Hard Plastic Rings top play with office Party Game. 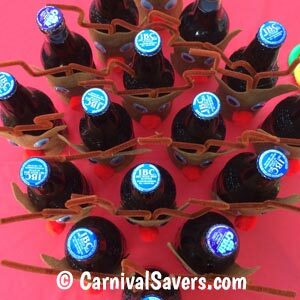 Before your holiday party or Christmas carnival, make your reindeer decorations as a simple craft and add one to each root beer soda bottle with hot glue. Players are given 6 Tossing Rings for this game to see if they can ring a bottle to win a top prize. 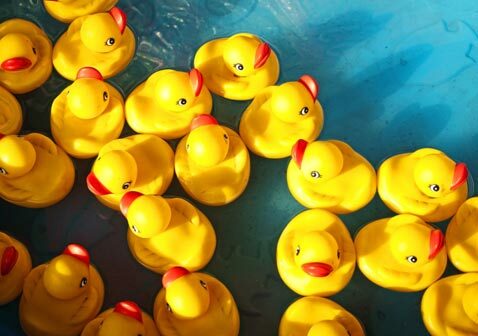 This is one of those carnival games that looks really easy, but is very difficult! Be sure to place your bottles close together to ensure that about 1 top winner out of one dozen players will ring a reindeer! Note: For younger children, you may wish to give them 8 rings for tossing to help them have a chance to win at this game too! Is this game for adults at a Holiday Office party? If so, feel free to change the name to Rein-BEER Ring Toss and use Beer Bottles instead of Root Beer Bottles! HOLIDAY SUPPLIES & PRIZES for the REINDEER RING TOSS CARNIVAL GAME!